The Sunstar Diecastexact replica model of Light, the Woodstock Bus created in 2009 is sold out, but Bob Hieronimus has a very limited number remaining. Email us for pricing information and for alerts when they will be made available for sale again. A new 50th anniversary edition diecast model from Hamilton Collections will be available in 2019. Watch this site for the announcement. Can’t afford the diecast model? The wooden plaque standee is the affordable alternative! What a treasure! I had no idea it would be so big and detailed. It is terrific and will be something to hand down from generation to generation. Producer of The Beatles, The Rolling Stones, Elton John, etc. 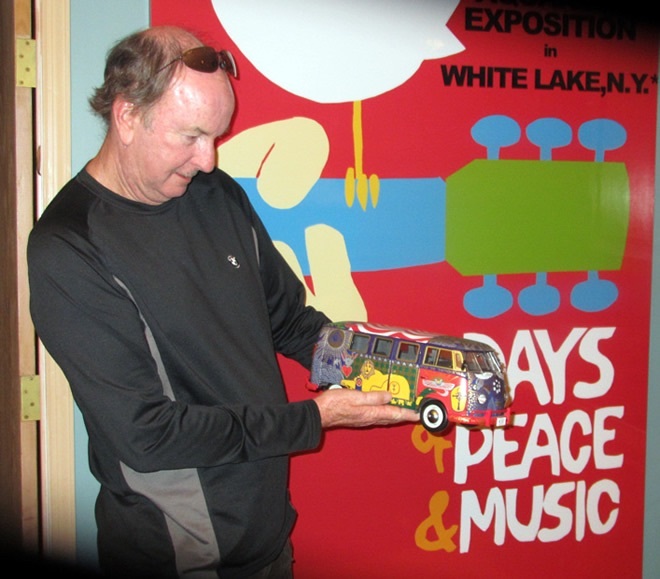 Admiring his new Woodstock Bus is Steve Boone, bass player for the Lovin’ Spoonful, members of the Rock and Roll Hall of Fame, class of 2000. 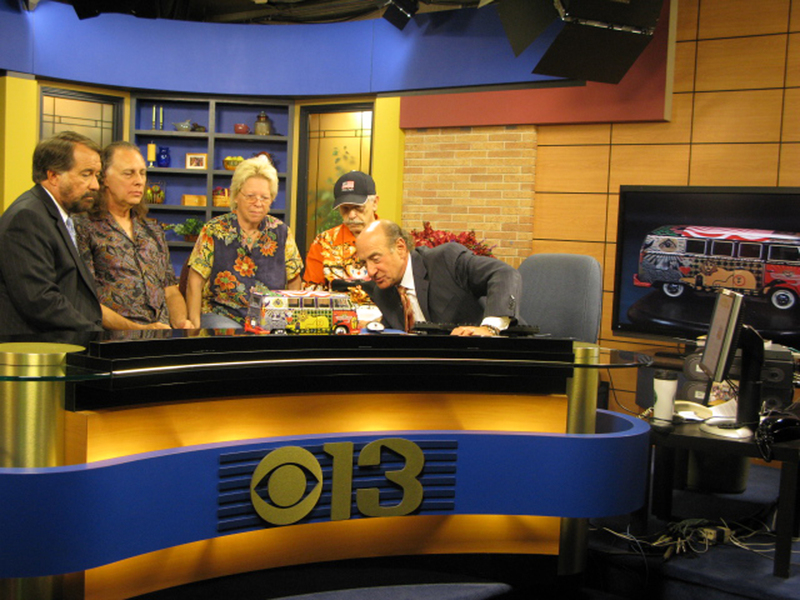 The Sunstar Diecast model was reviewed on WJZ-TV in Baltimore in 2009 with anchors Marty Bass and Don Scott and guests Bob Hieronimus, Bob Grimm and Trudy Morgal.